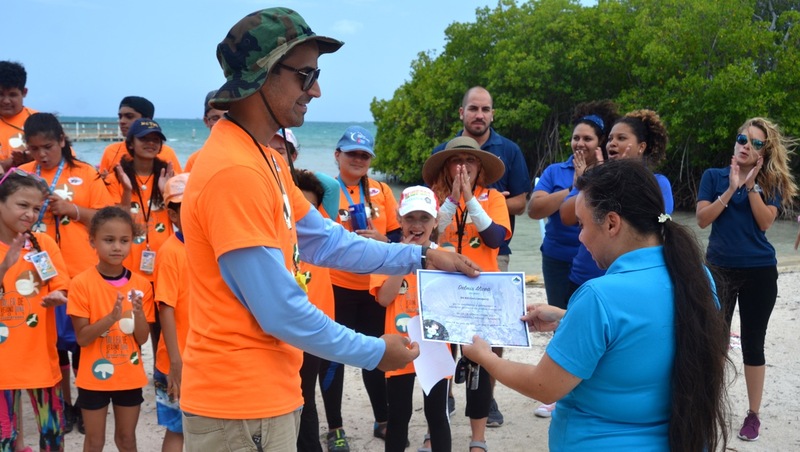 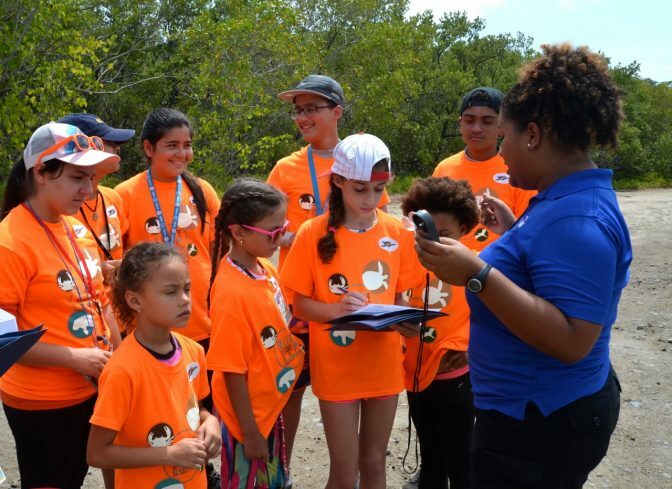 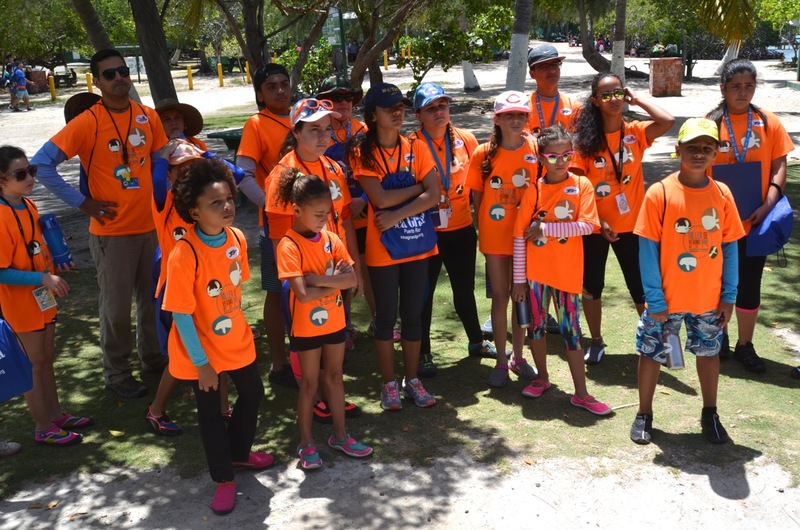 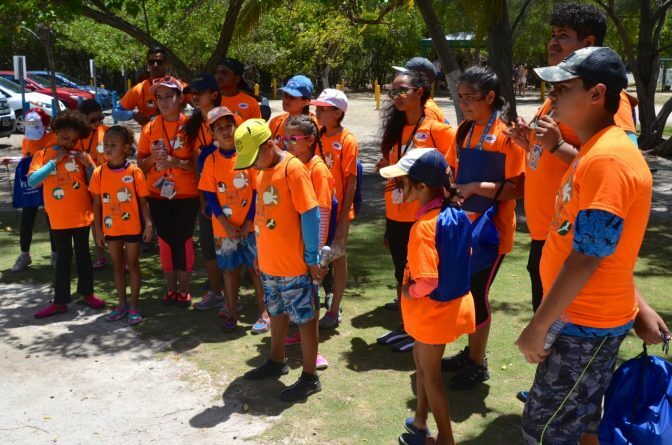 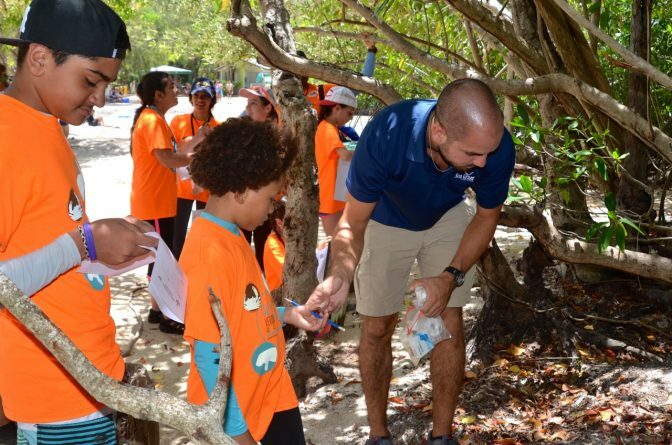 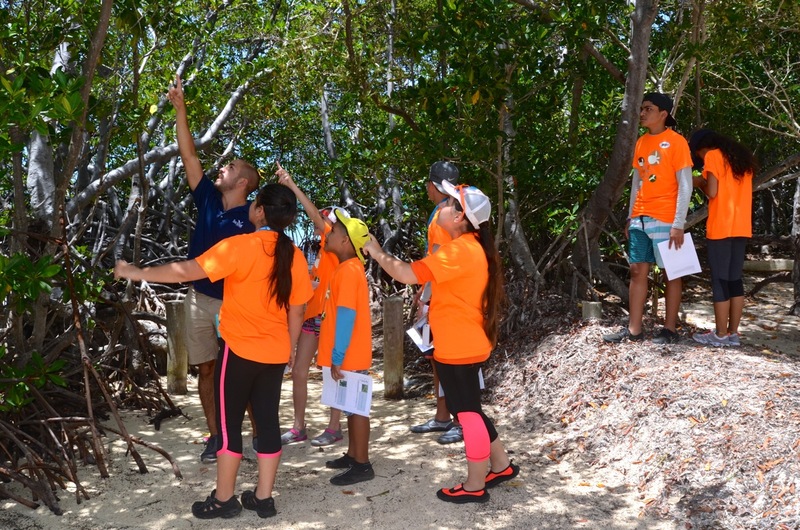 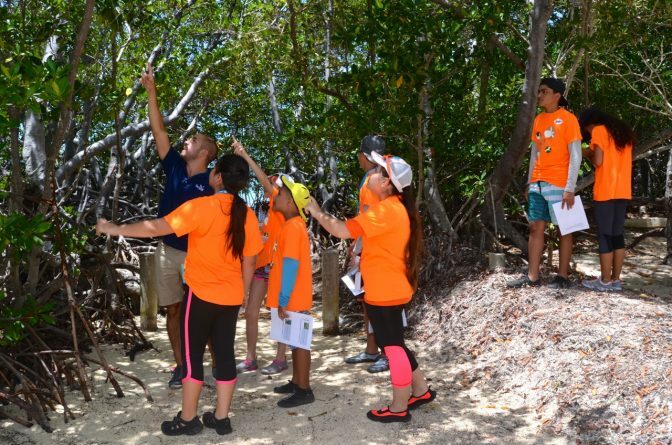 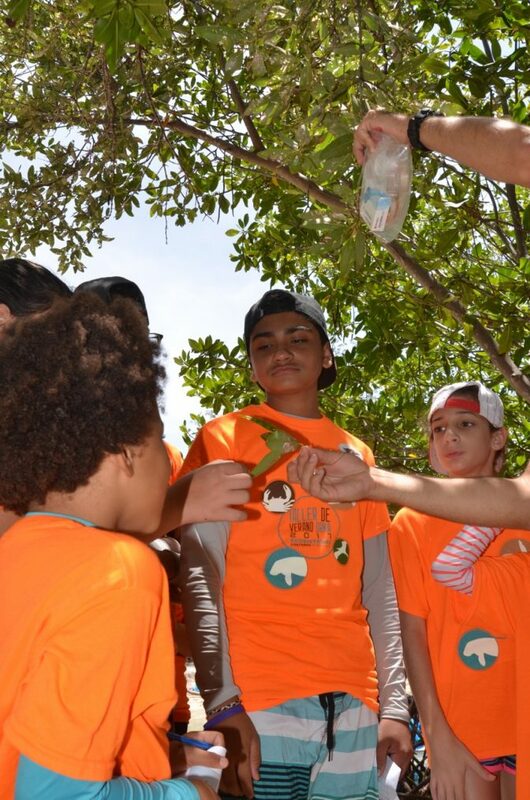 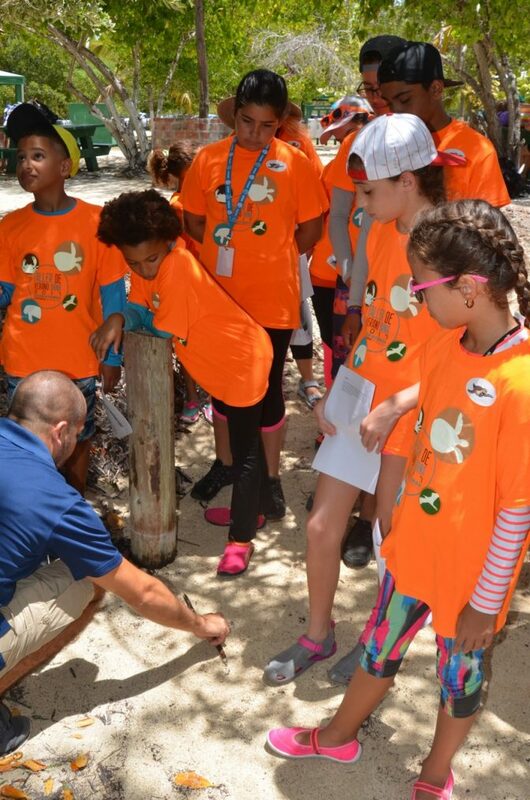 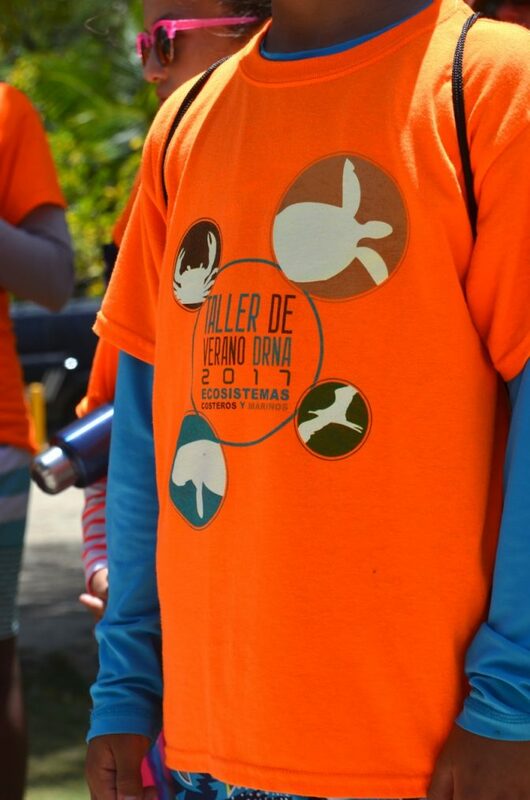 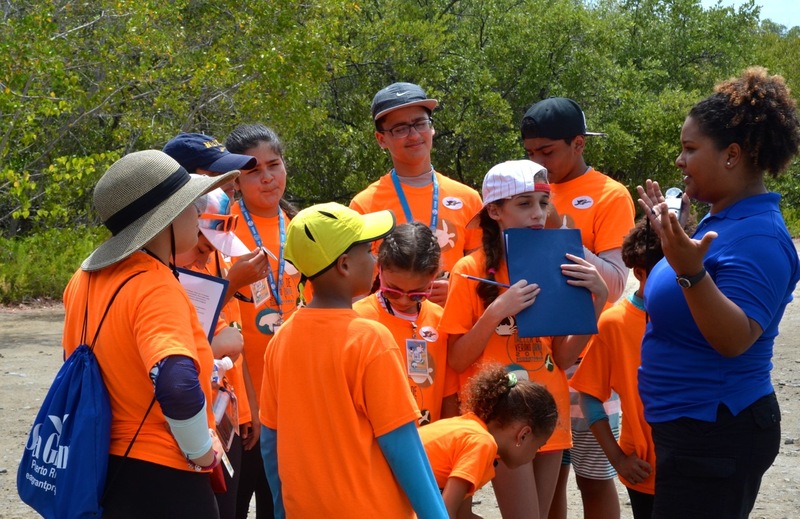 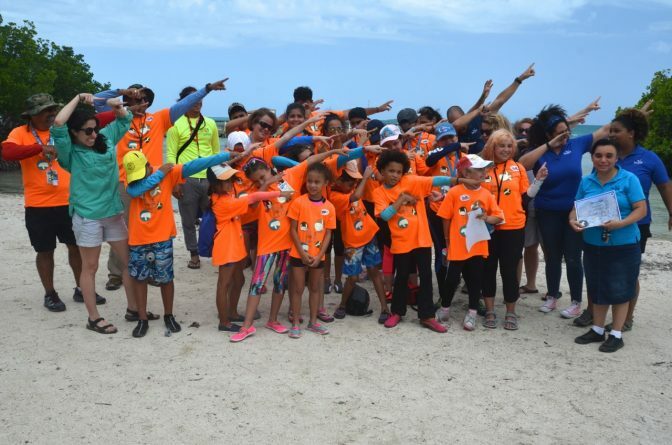 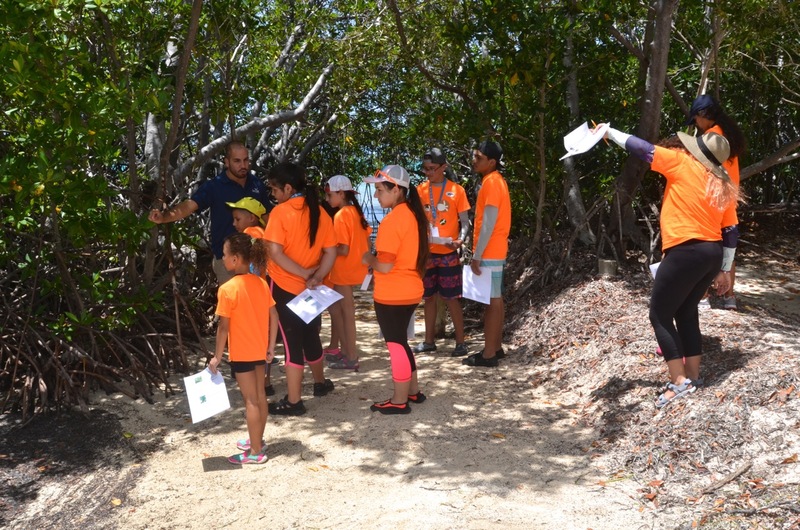 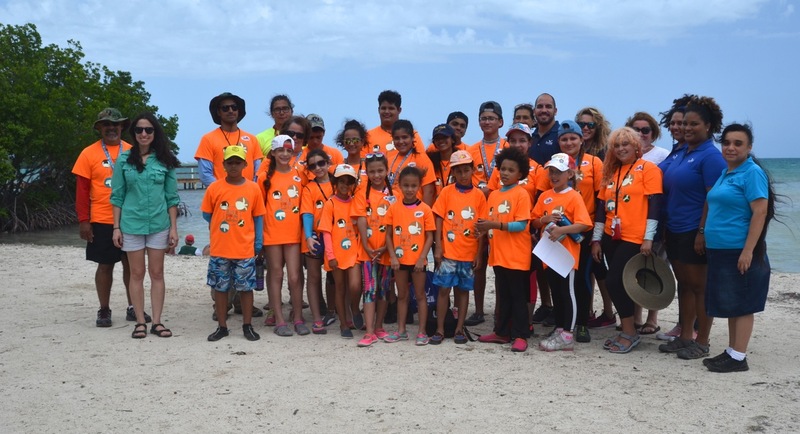 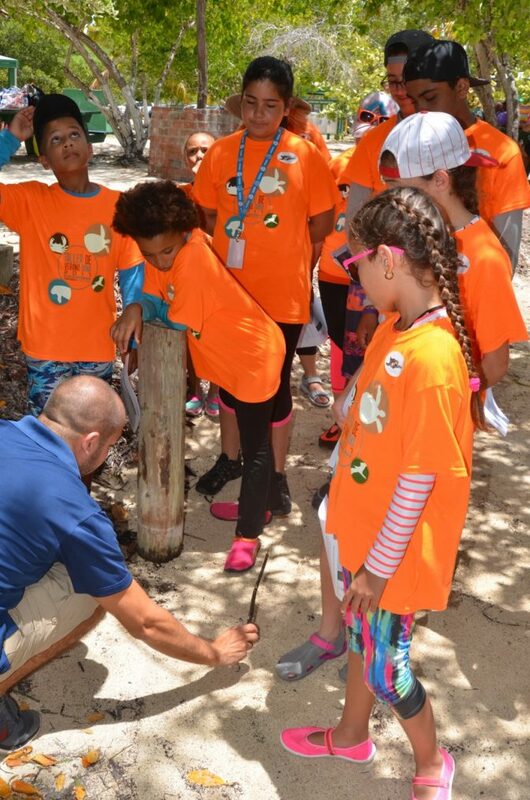 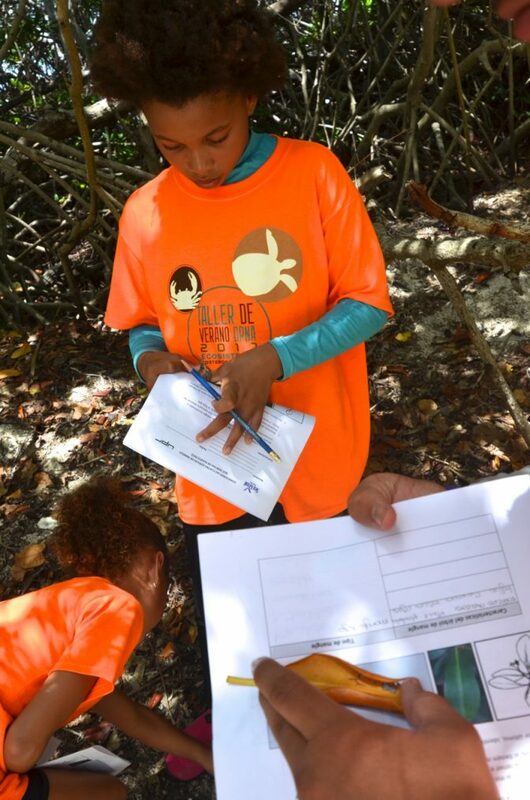 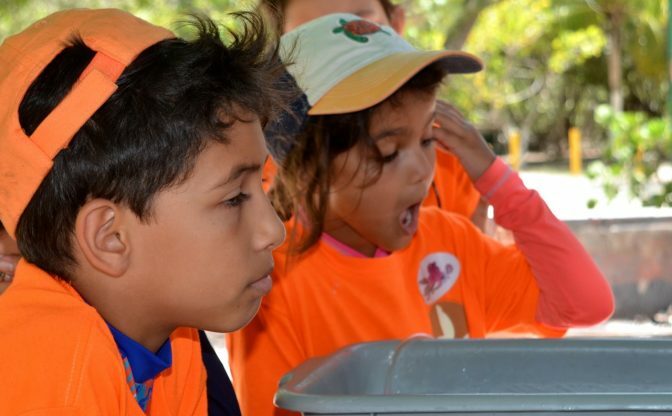 Several children and youths from the Puerto Rico Department of Natural and Environmental Resources camp visited Playita Rosada in La Parguera, Lajas. 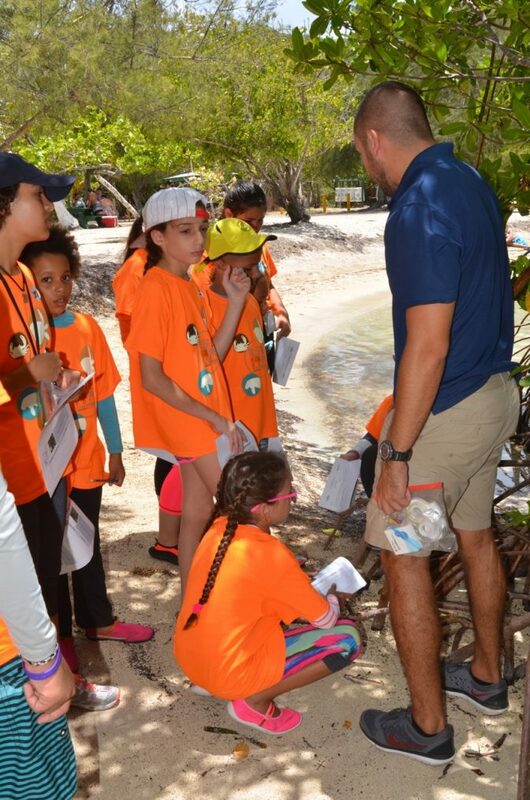 On Wednesday, June 14th, 2017, this place became a living laboratory for these students, who were anxious to know more about the marine and coastal ecosystems found there. 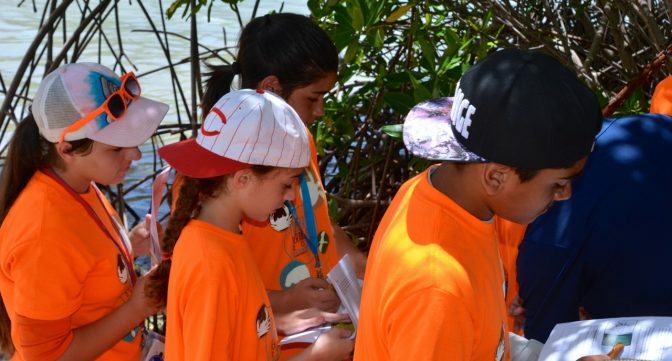 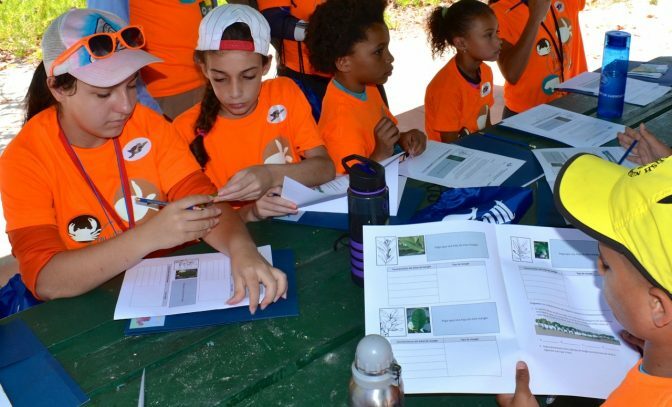 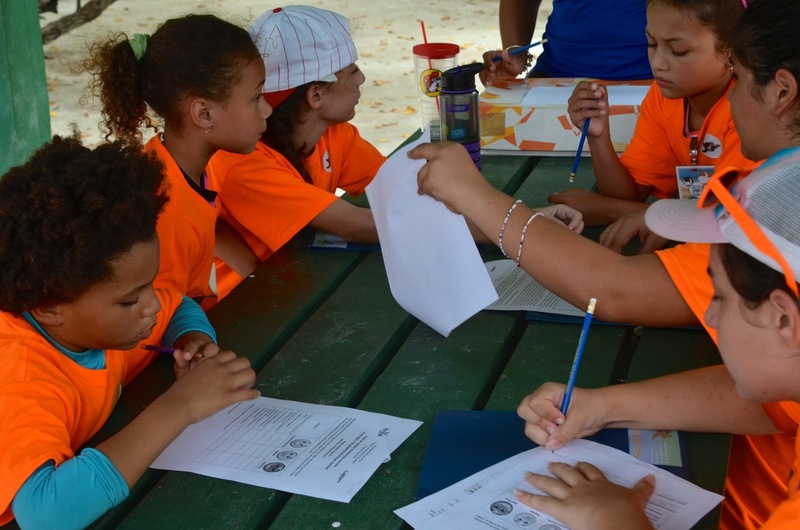 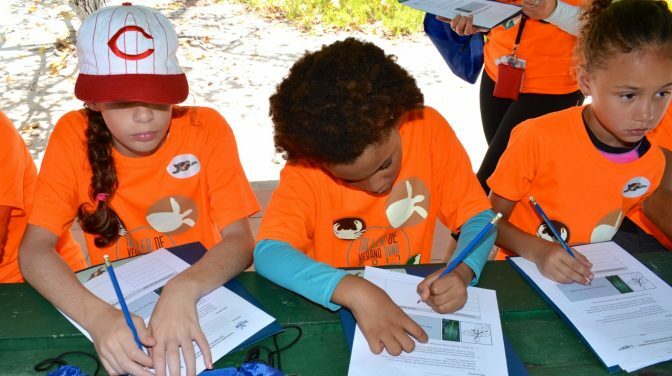 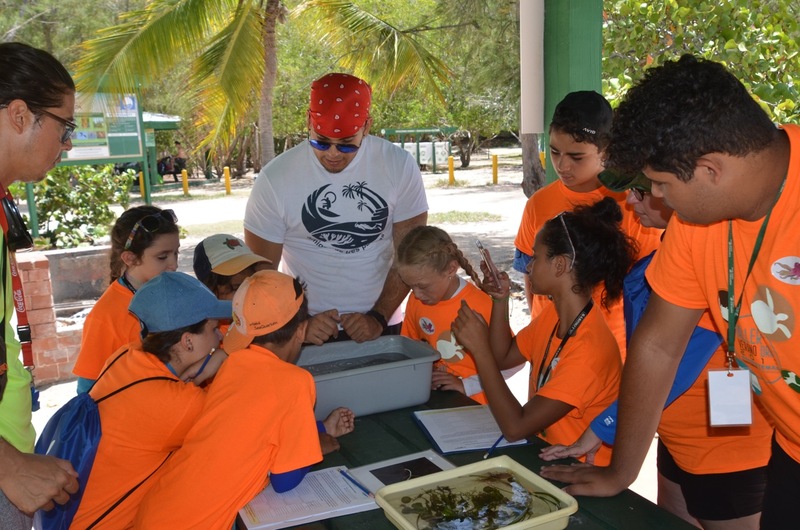 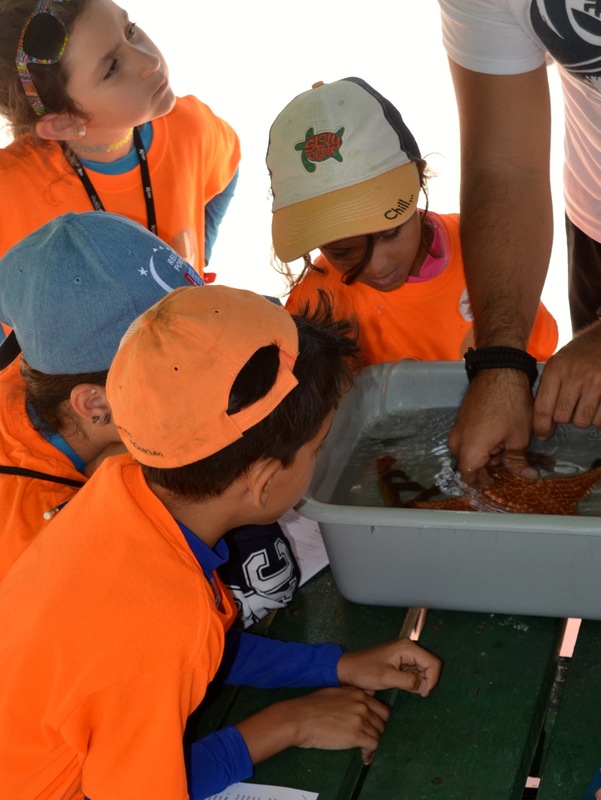 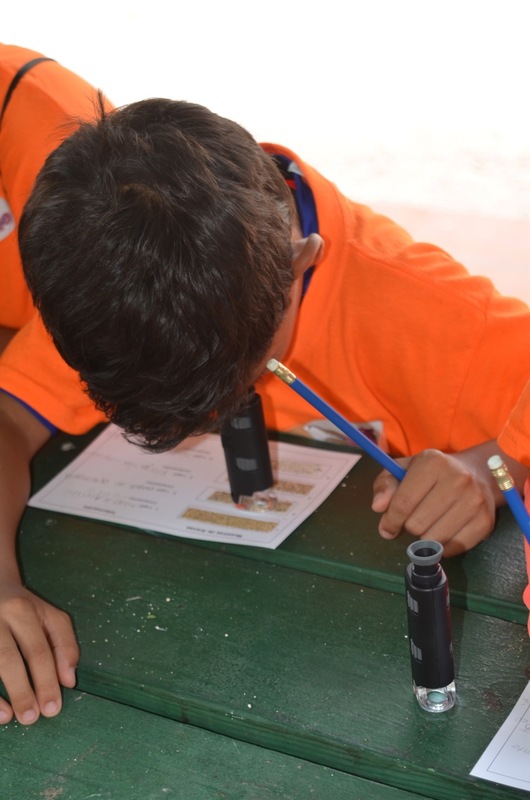 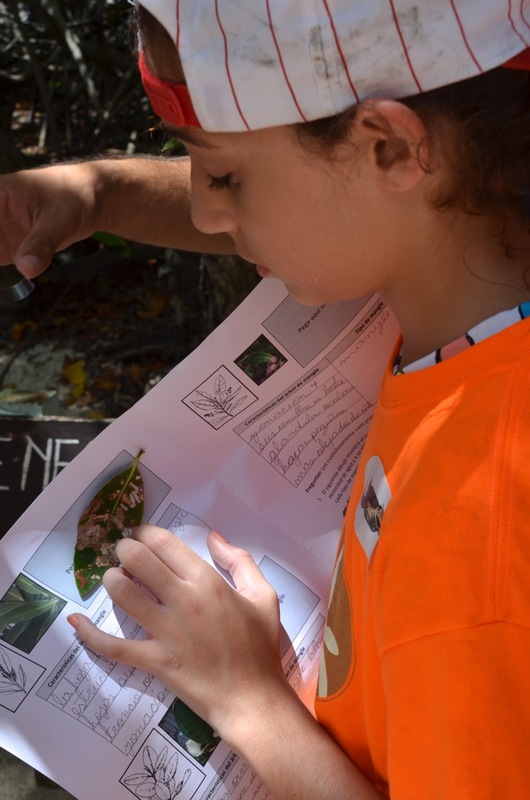 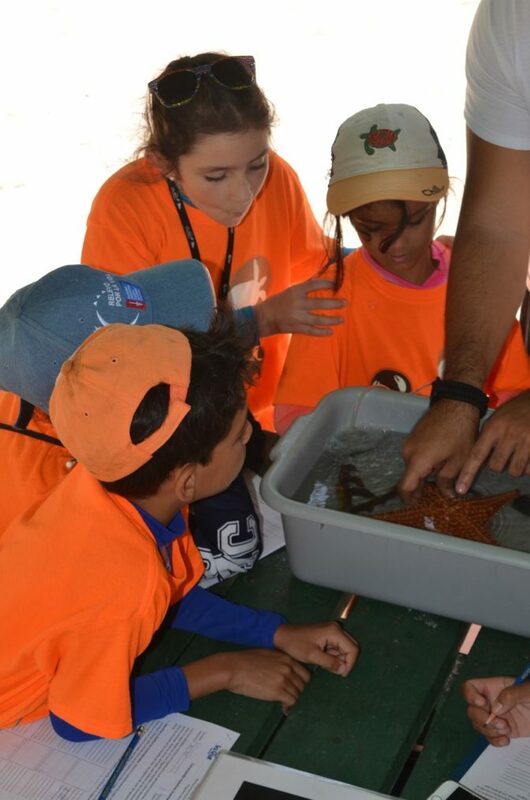 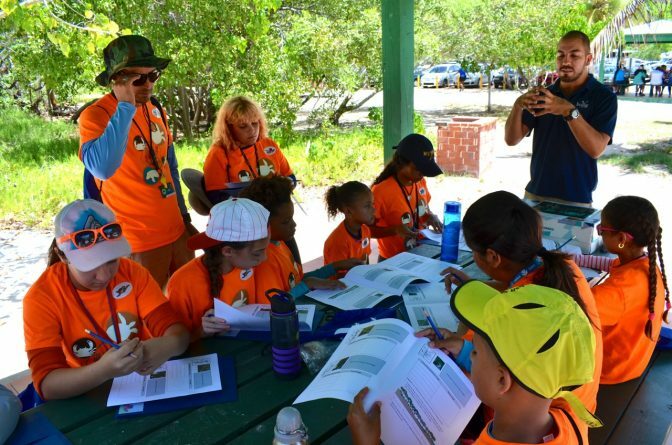 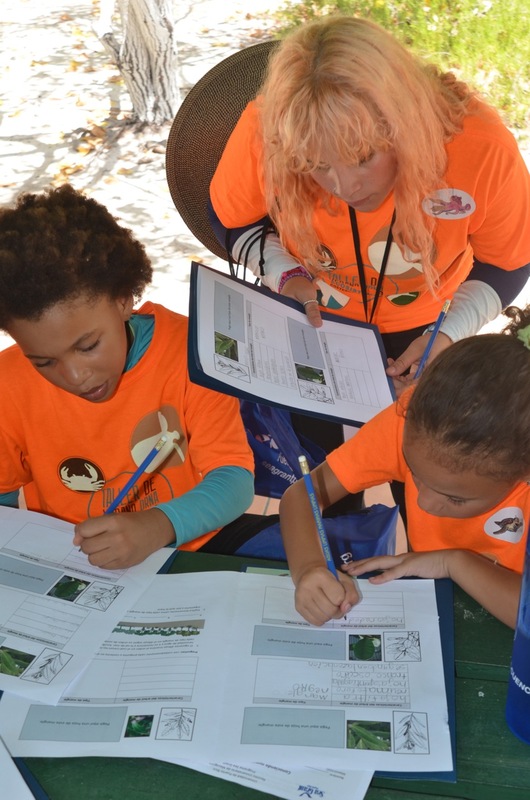 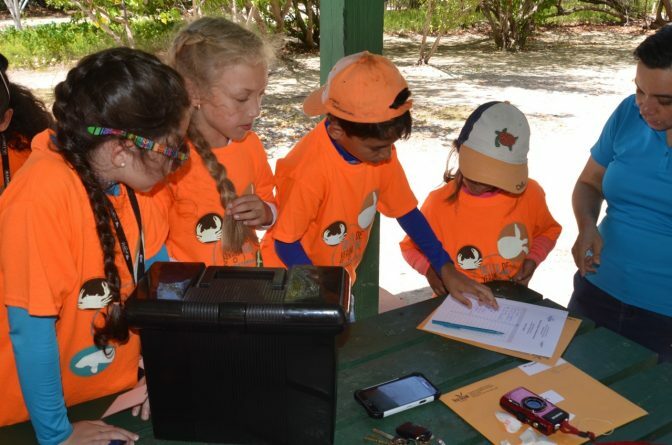 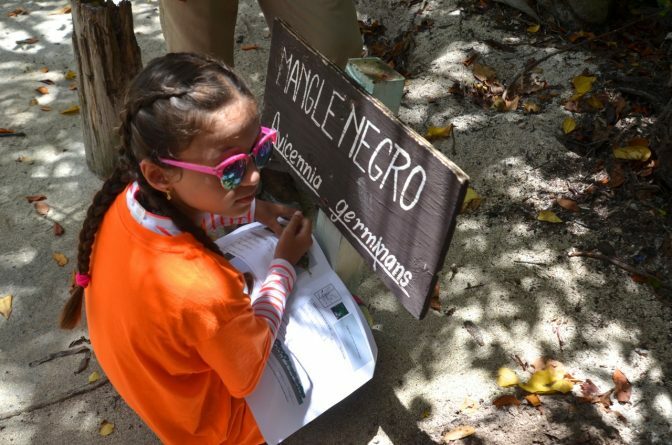 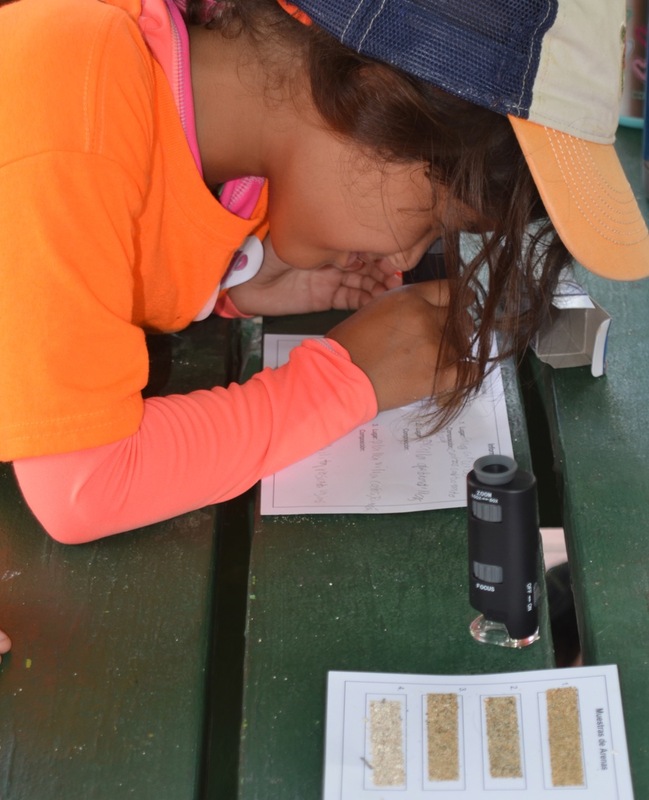 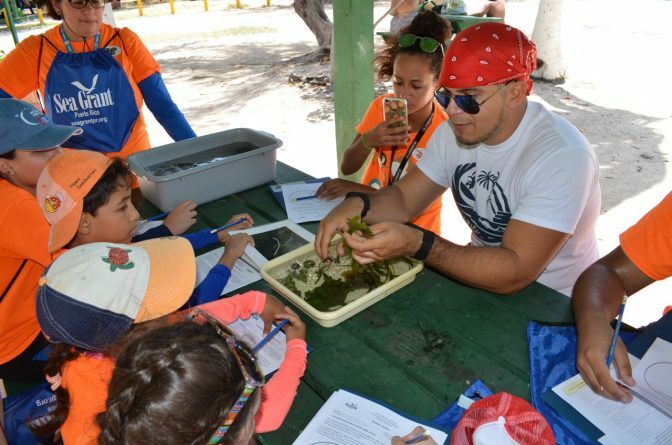 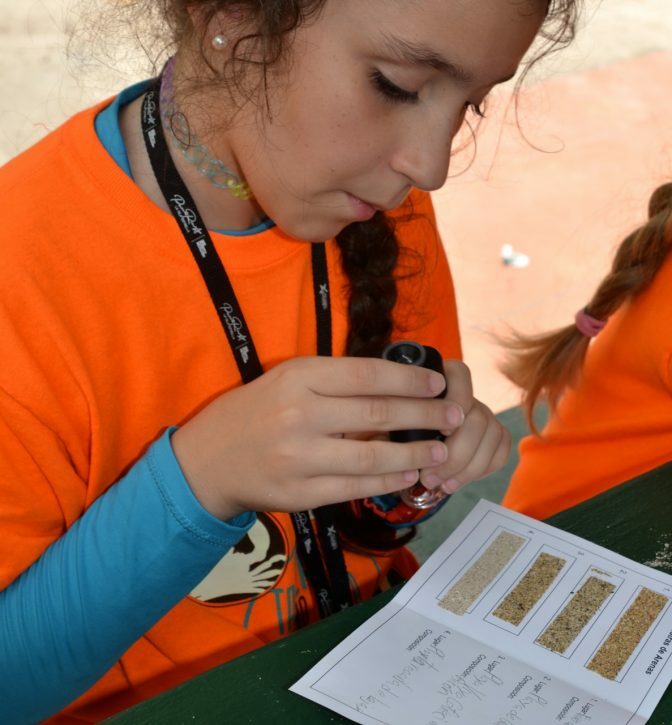 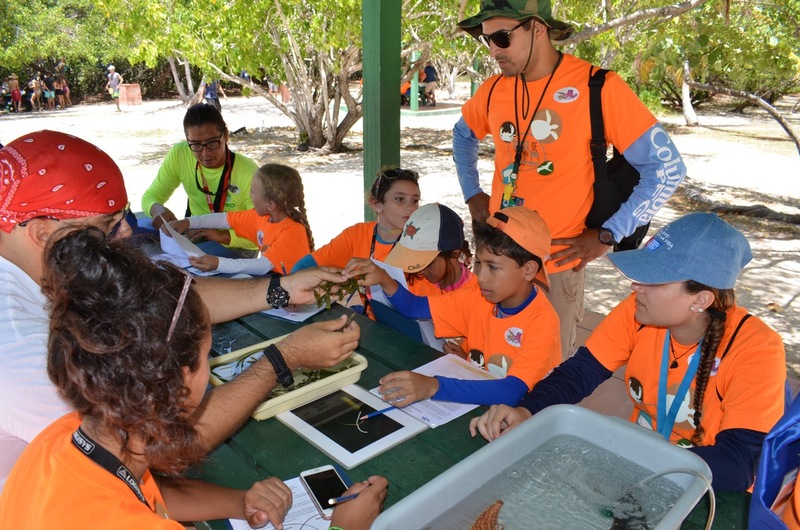 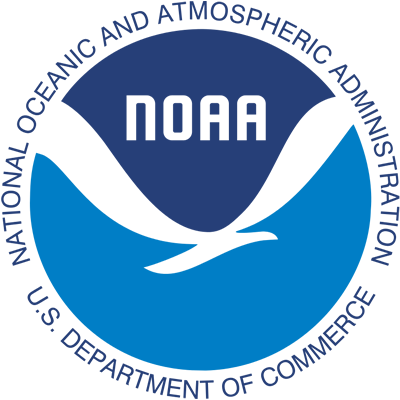 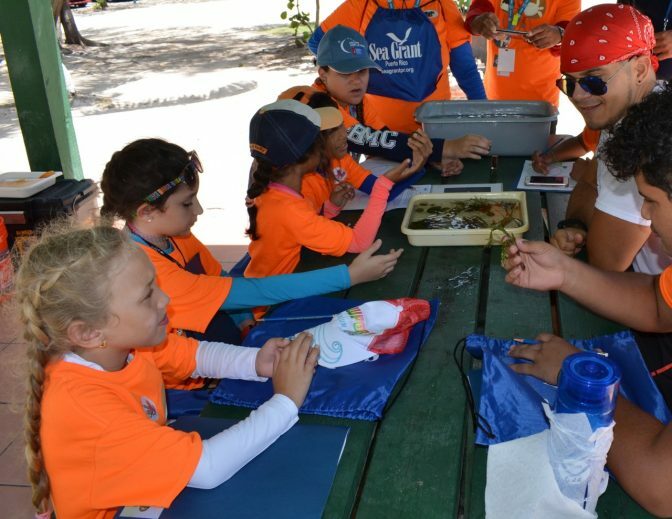 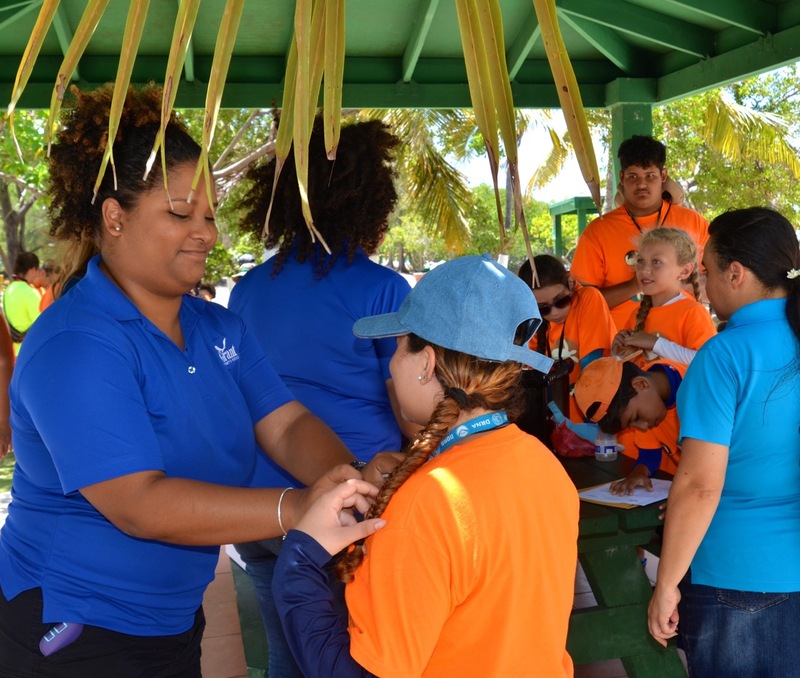 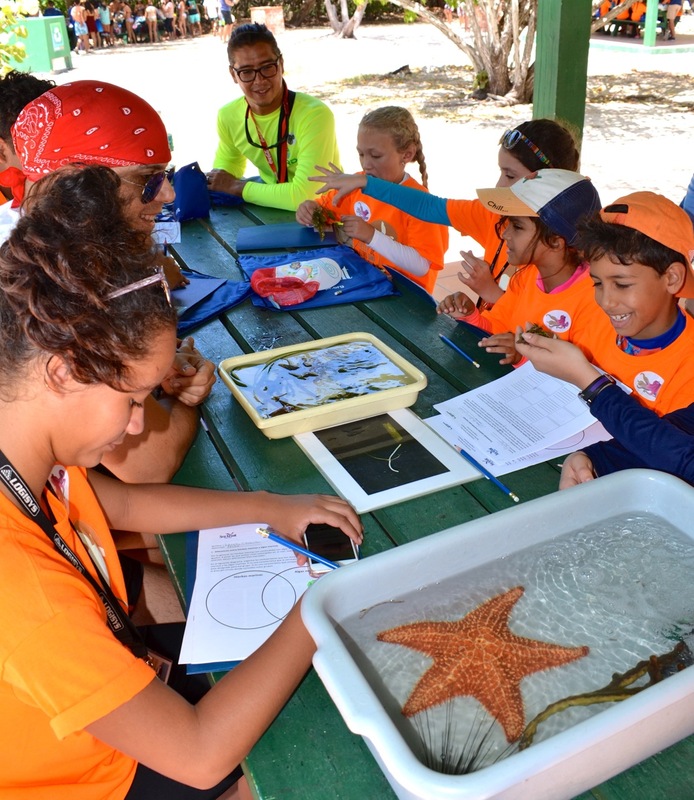 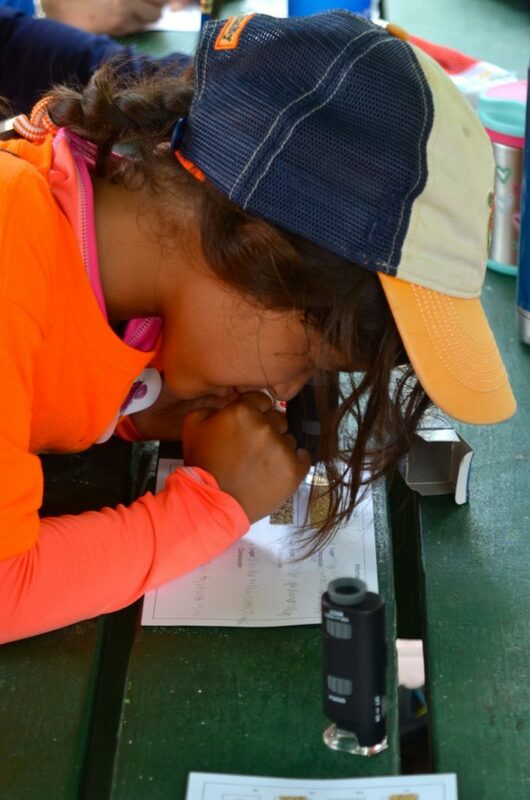 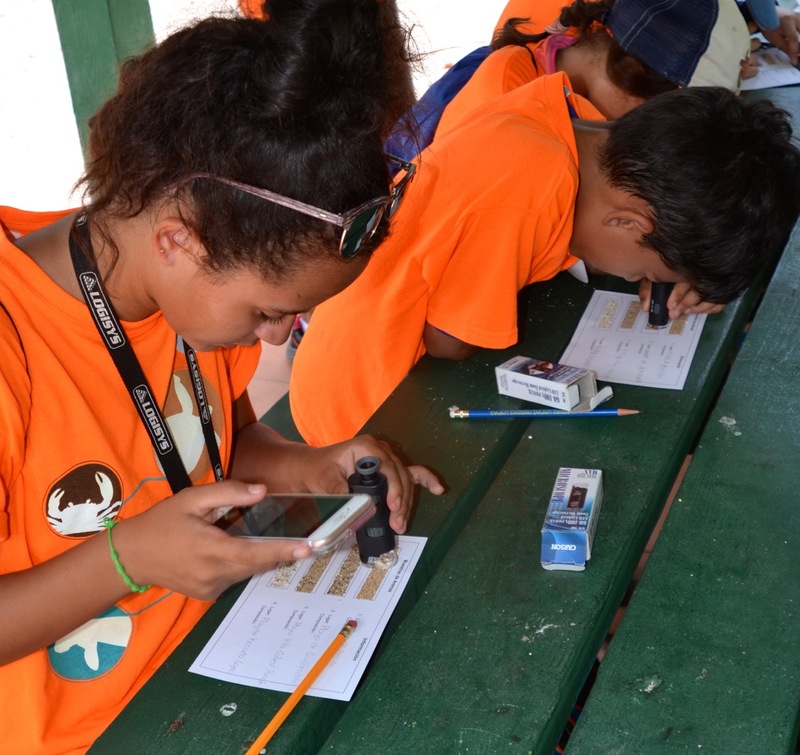 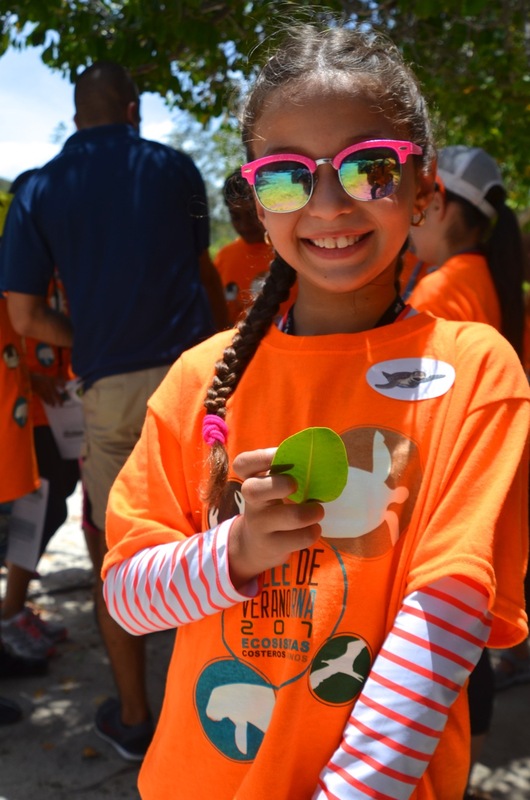 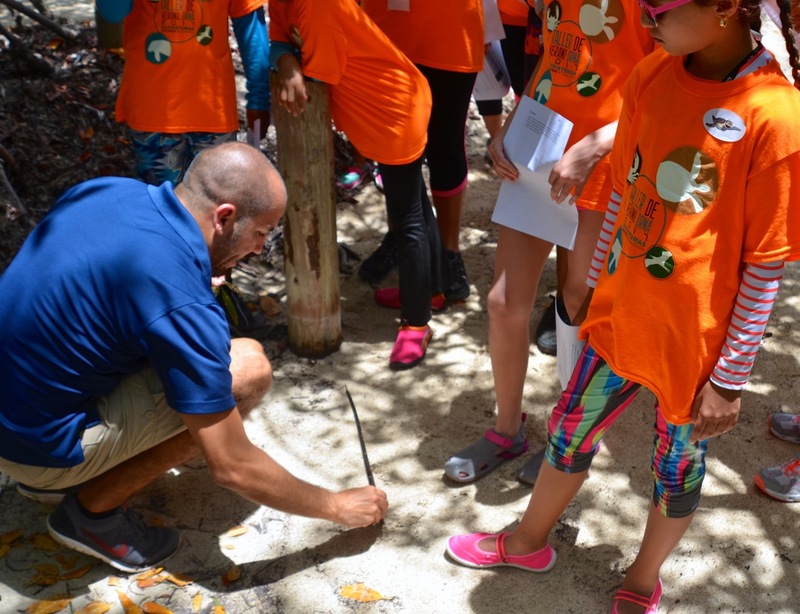 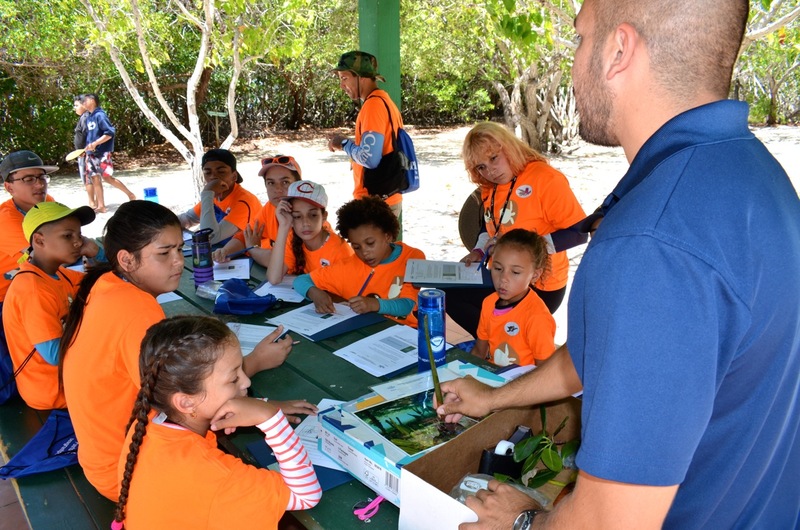 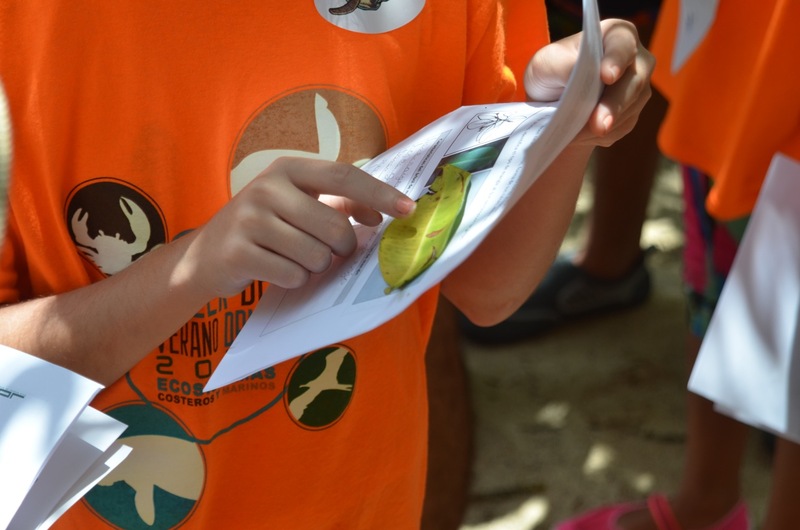 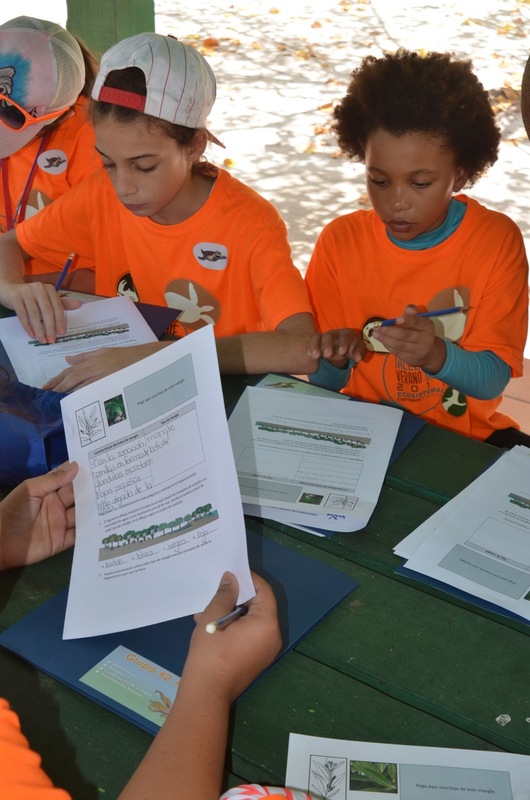 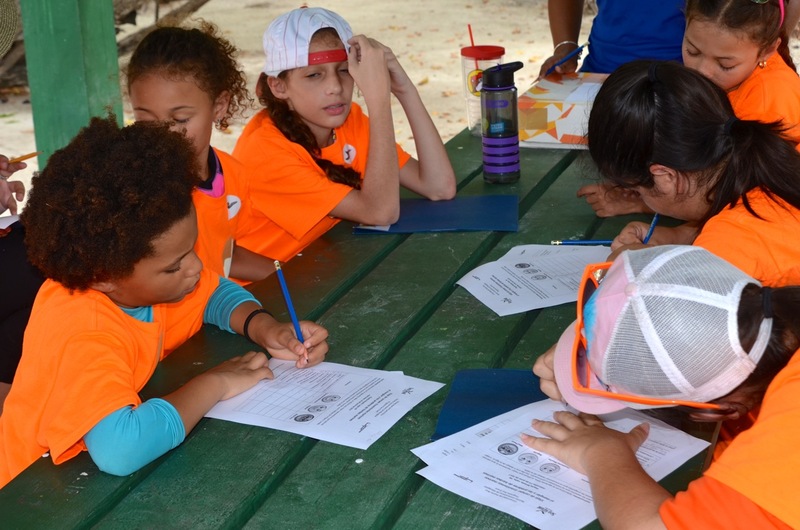 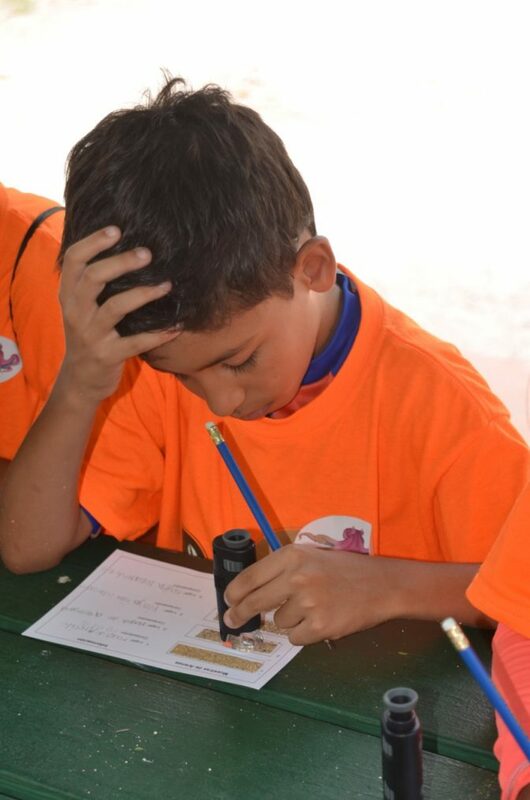 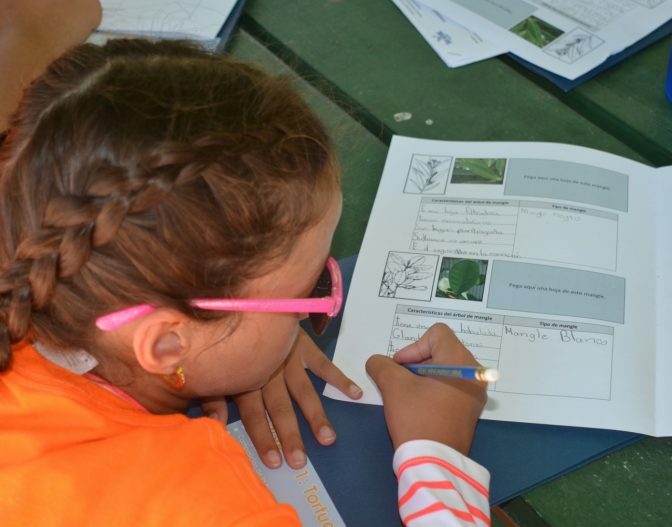 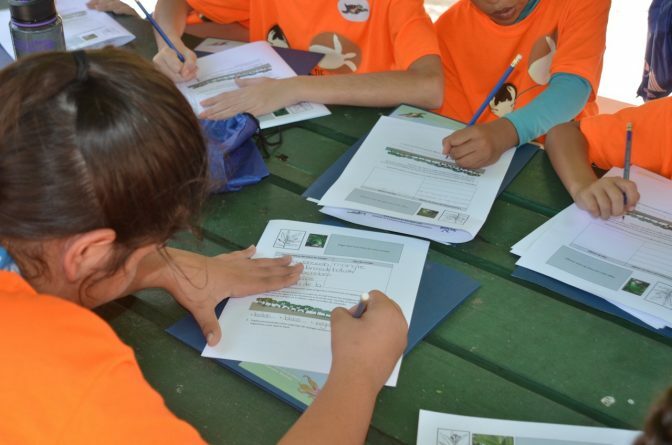 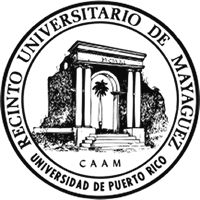 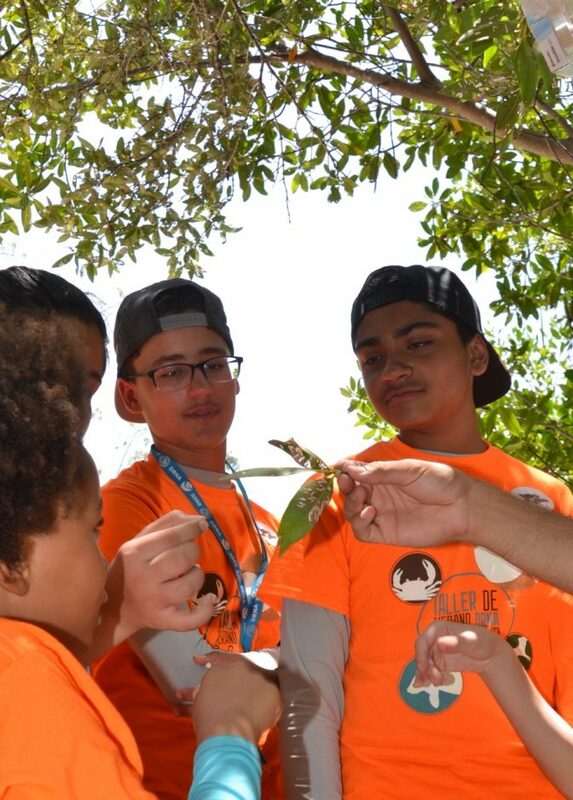 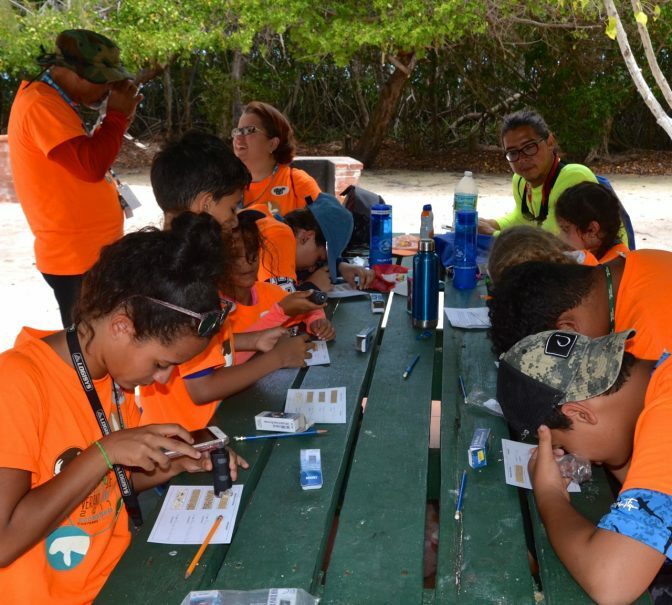 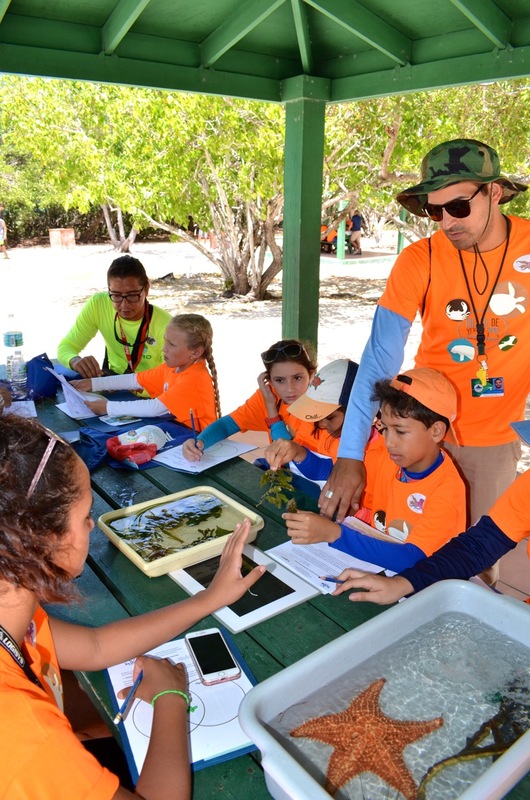 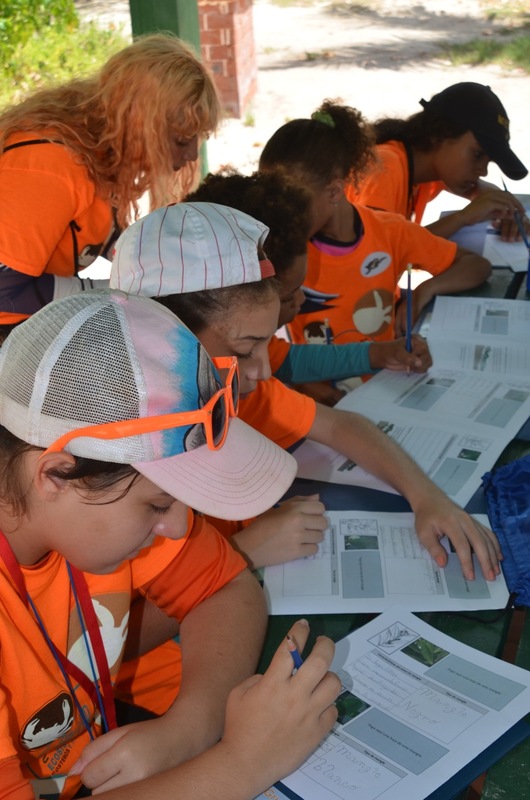 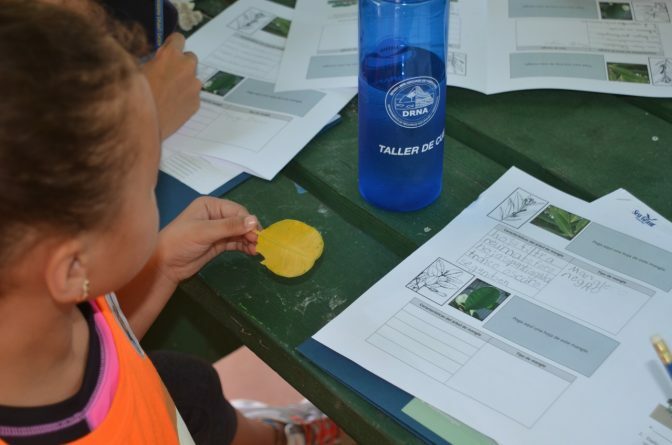 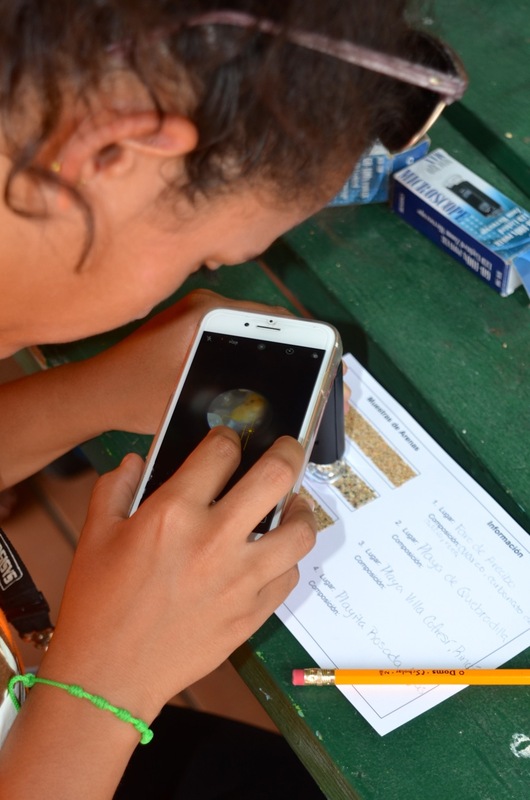 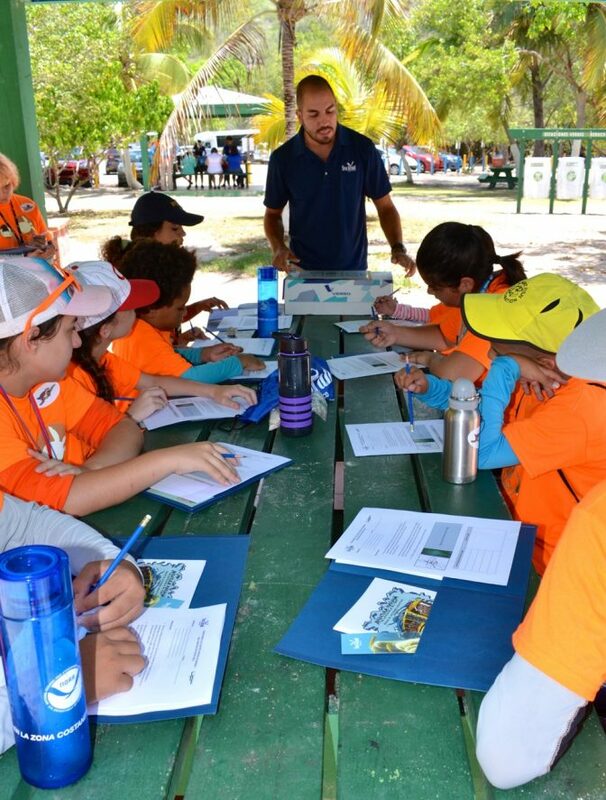 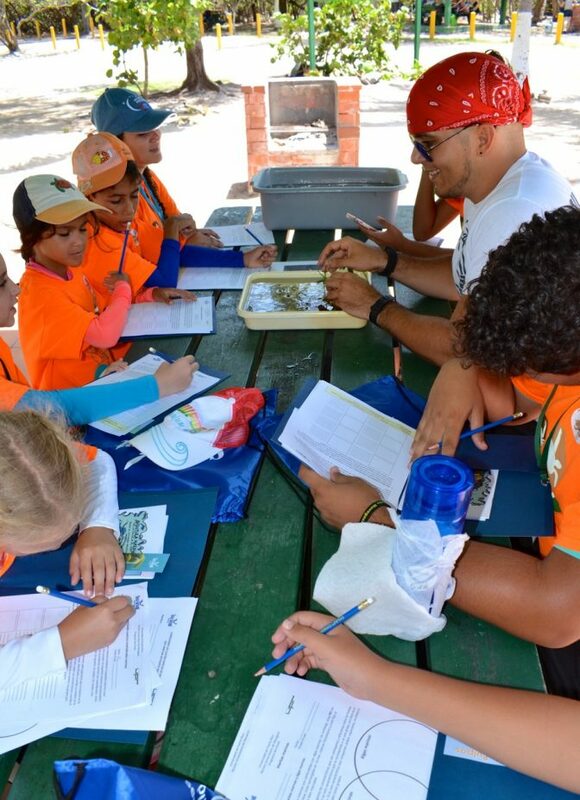 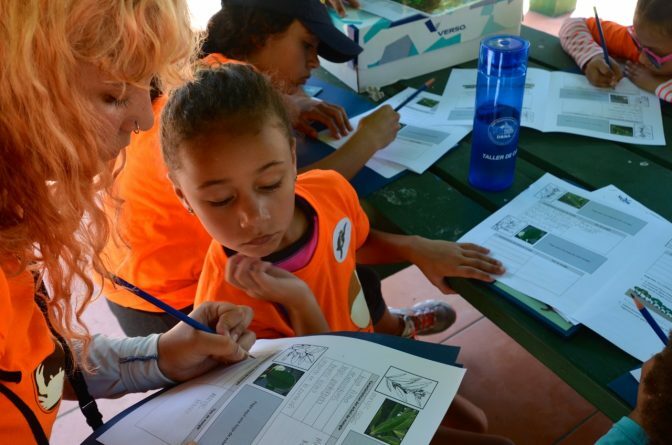 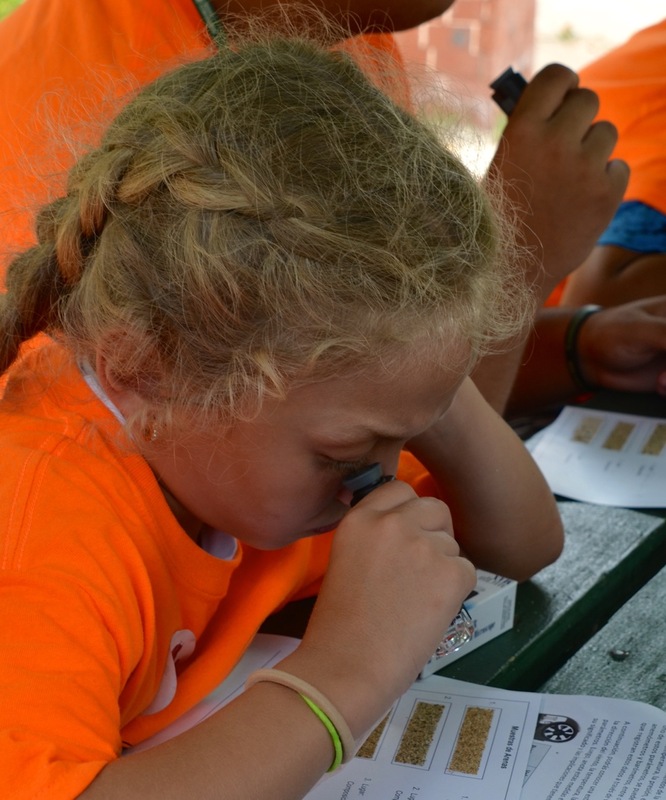 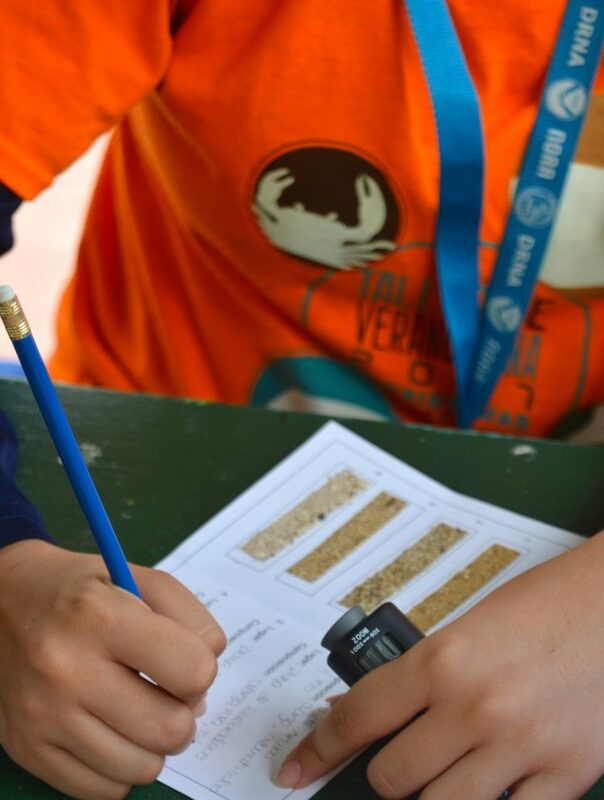 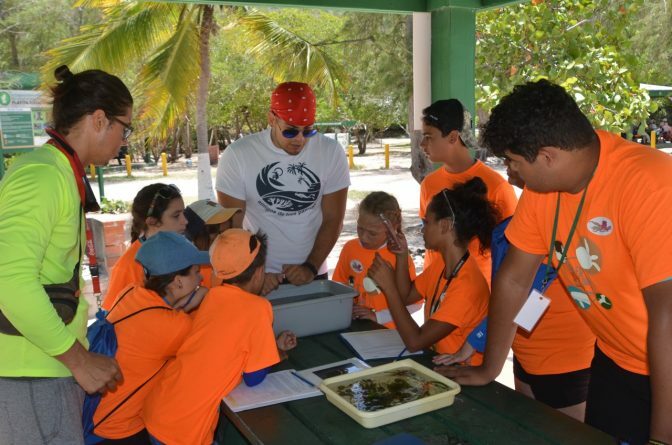 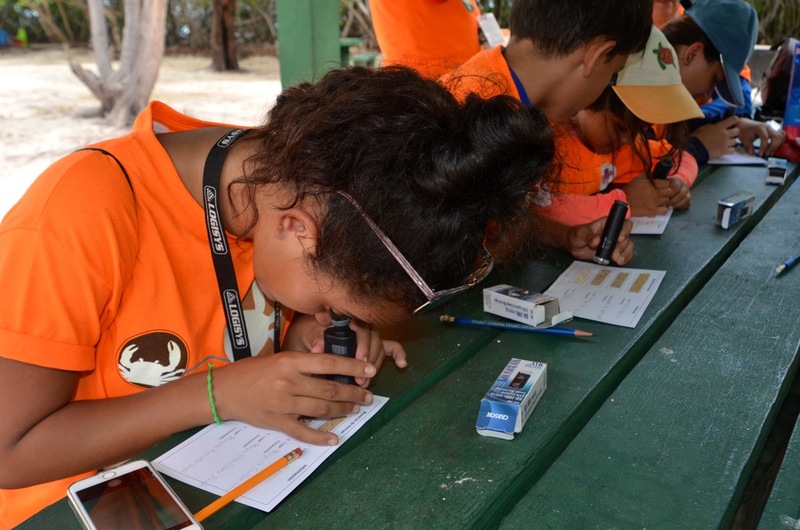 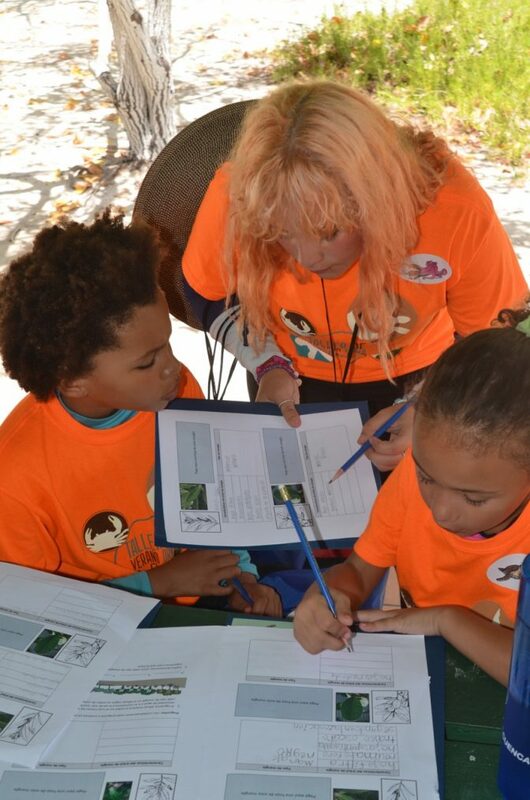 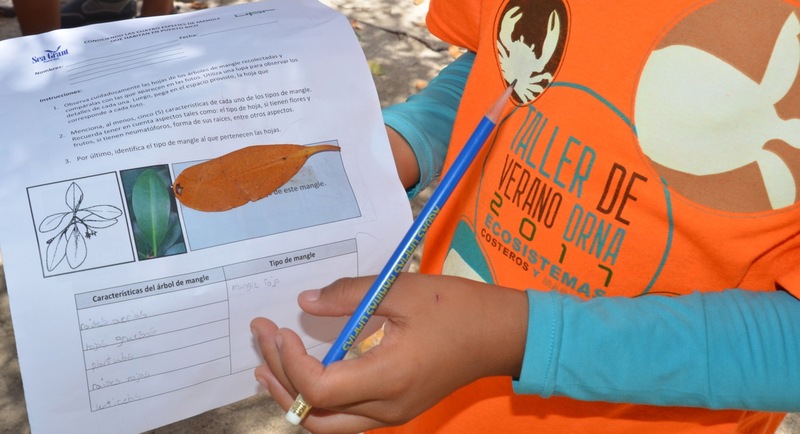 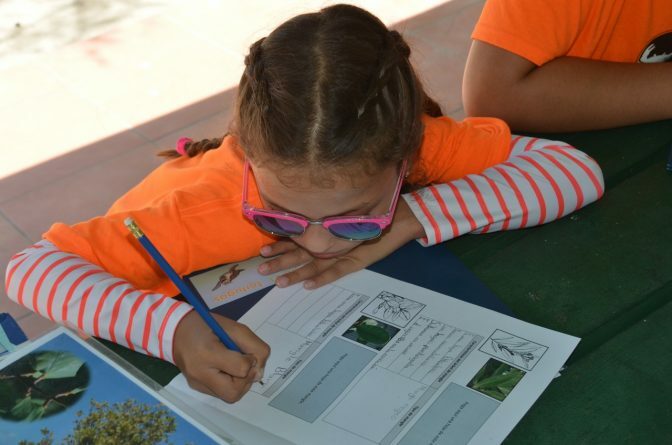 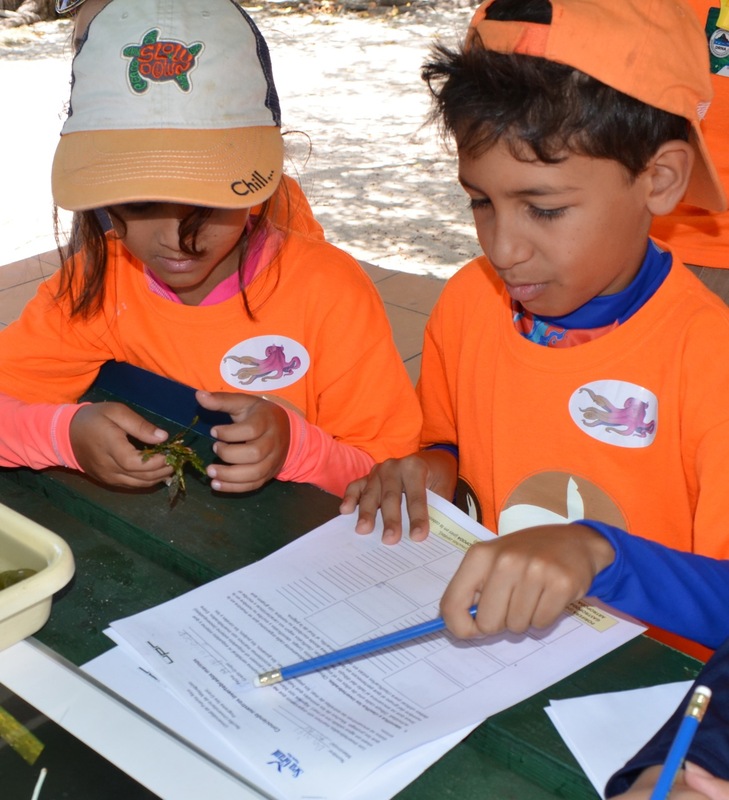 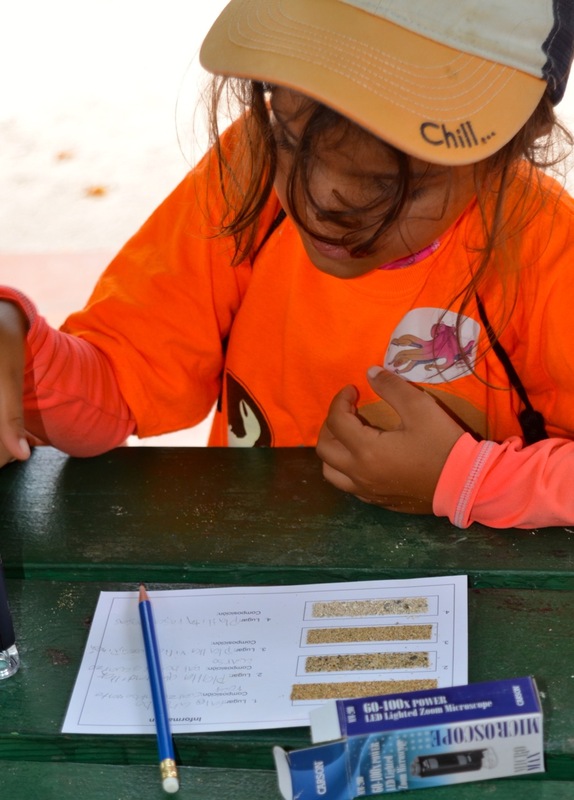 The University of Puerto Rico Sea Grant Program prepared several stations regarding mangrove forests, seagrass beds, marine invertebrates, sand composition, and meteorology. 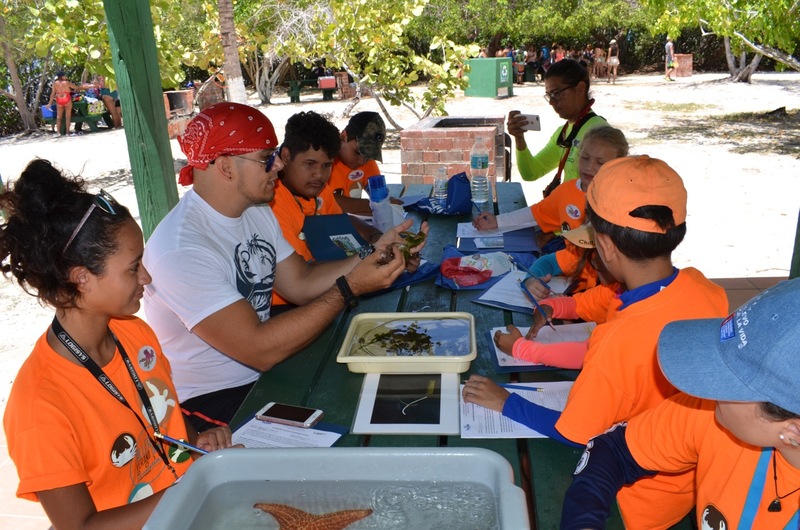 The participants went through each station, where they could share what they learned about each ecosystem and learn new things about them. 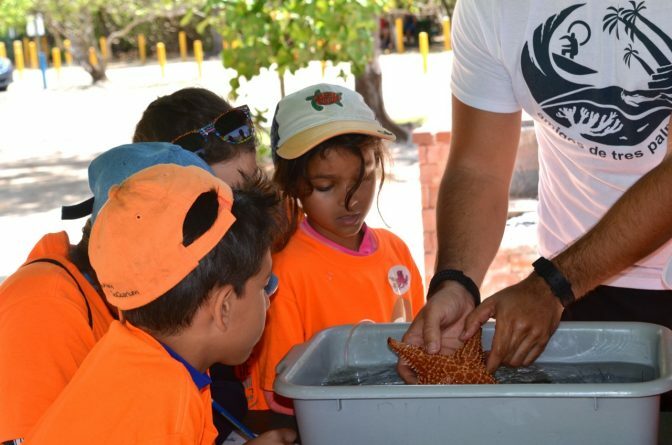 The important thing was that they observed and were able to interact with everything firsthand. 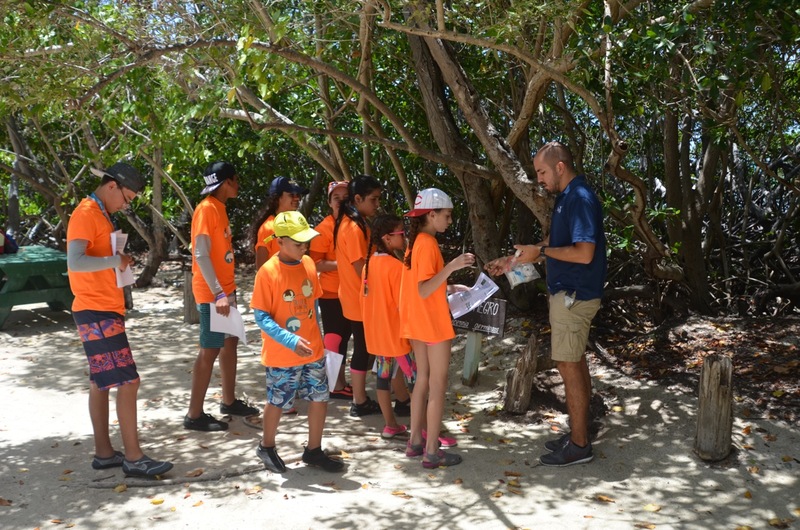 It was a great experience for everyone involved.